5/25/05 - I had a meeting today at the Library of Congress in the Jefferson building. On the way in I spotted two brand new custom Airstreams parked across the street in front of the James Madison Memorial Building of the Library of Congress. After our meeting I had to venture over to see what these trailers were all about. 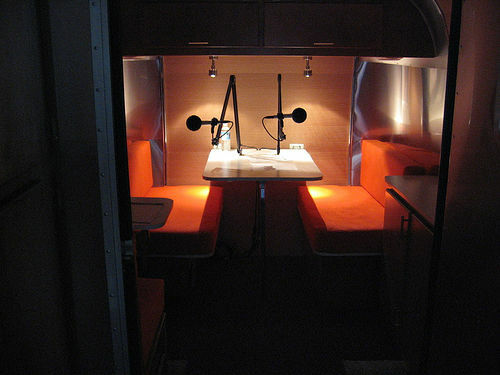 The pair of matching trailers were built to act as rolling recording studios that will tour the country this Summer recording people interviewing people for NPR. 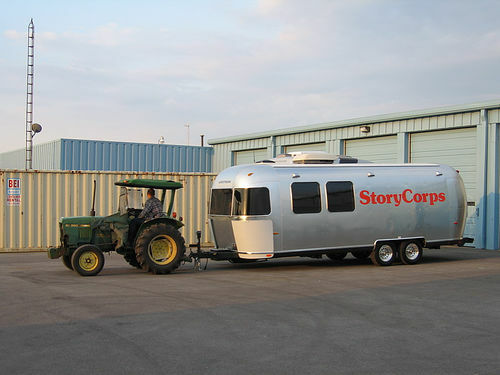 To learn more visit www.storycorps.net. Here's the wonderful Airstream luck I had today...it winds up one of the women in the Airstream was none other than a colleague of the person we met with at the LOC, and are trying to do some business with. 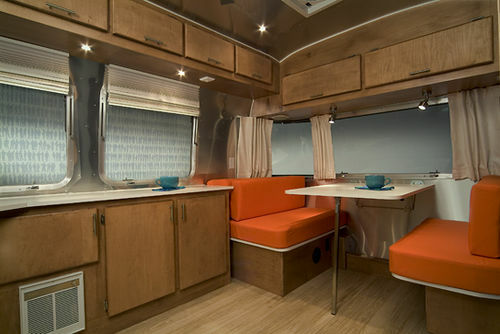 It was a great Airstream chance meeting! 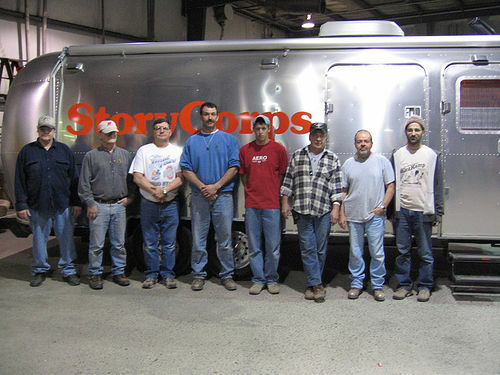 I wonder if the StoryCorps will attend this years International Rally?? ?